TMP celebrates a very special birthday today! 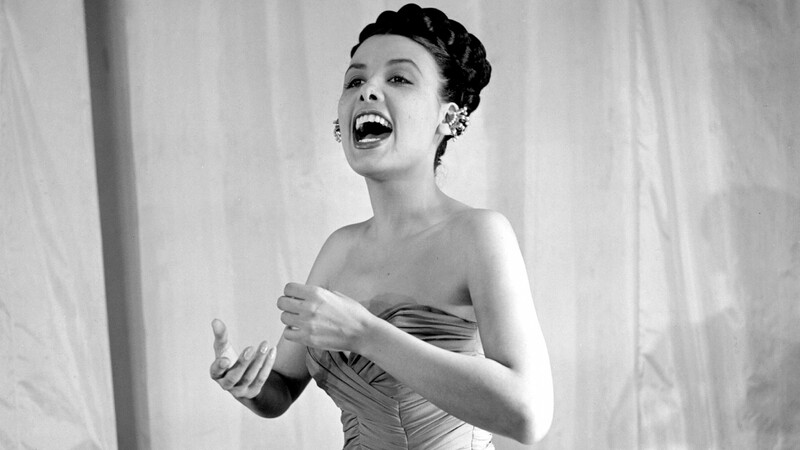 One of my favorite performers of all time, Lena Mary Calhoun Horne, was born on June 30, 1917. Though she moved around the country quite a bit during her childhood, often traveling with her mother, by the 1930s Horne had made it back to her birth state of New York, where in 1933 she joined the Cotton Club chorus line. There, Adelaide Hall took Lena under her wing, and a star was born. Lena rose to prominence as an incredibly talented vocalist, later expanding her career to film and television. 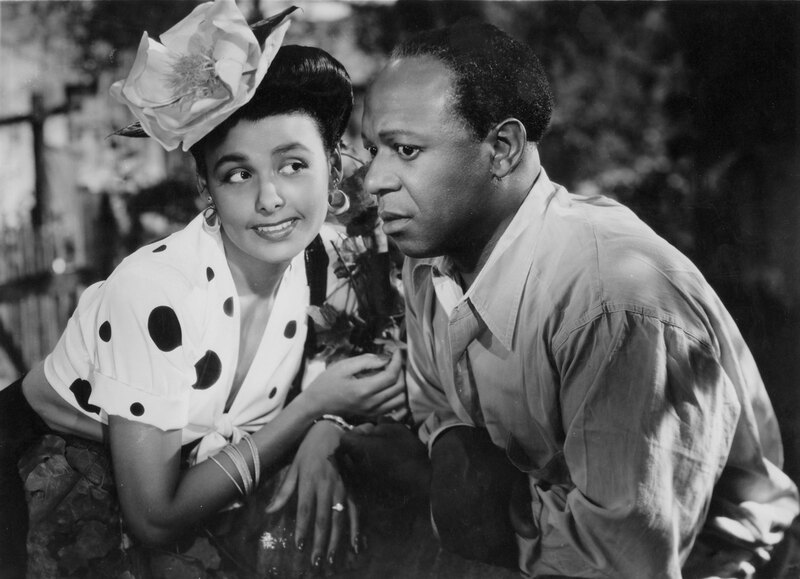 My favorite film roles of Lena are in Cabin in the Sky, Stormy Weather and The Wiz. Stormy Weather was released the same year as Cabin in the Sky. The film is light on plot and production values, packing nearly 20 musical numbers into its running time. My favorite thing about the film is undoubtedly the performance of the Nicholas Brothers, but Lena matches the brothers in charm and screen presence. Her musical performances in the film are wonderful, of course. She’s one of those performers that is just a joy to watch no matter what the role, because there’s a natural warmth to her and she has so much personality. The Wiz is Sid Lumet’s less-than-revered remake of The Wizard of Oz, featuring a cast headed up by Diana Ross (in the “Dorothy” role) and Michael Jackson (as the scarecrow). As surprising as it is considering my love for the 1939 film, I have a great fondness for The Wiz. Lena is cast as Glinda the Good here, and I think she’s perfectly cast. The warmth and charm that made me a fan of her through her earlier films and musical performances are still present in this 1978 film, and it makes her suit the character of Glinda very well. Plus, her voice is as wonderful as ever. I’ve seen her big number (“If You Believe”) criticized because it isn’t in the style of her most famous songs, but I don’t see this as problematic. People as vocally talented as Lena don’t need to limit themselves to certain styles of music; she could sing the phonebook to the tune of a horrible Nickleback song and it would probably still be awesome. I think her performance is wonderful, and if anything I wish she had a larger role in the film. What a fabulous voice. Happy Belated Birthday, Lena! Next Next post: June 2013 in film + DVD collection update!